This film is pretty explosive. 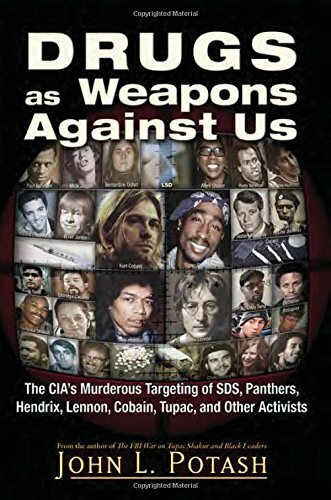 Drugs as Weapons Against Us by John L. Potash impressively details how a group of opium-trafficking families came to form an American oligarchy and eventually achieved global dominance. This oligarchy helped fund the Nazi regime and then saved thousands of Nazis to work with the Central Intelligence Agency. Those of you who are more interested in how the black communities were affected, particularly the political organizations, community groups, specific activists & artists, skip to the 1:01:14 mark. The level of subterfuge & wickedness is unimaginable. This film will explode whatever illusions you may have about the music industry, banking, the media & the military-industrial complex.